This is the authentic Pokemon Crystal Game Boy Color Game Cartridge. A new battery has been installed and the games is cleaned, tested, and guaranteed to work and save! This game works on the Game Boy Color, Game Boy Advance, and Advance SP systems. It does not work with the Micro or any kind of Nintendo DS. Grandson was very pleased with this Christmas gift!! Worked well! I LOVED this game as a kid and I was foolish to give it away. When I found this copy online, I thought the price was a little high, but fair, given that it's a discontinued product. For me, it was worth it! All the nostalgia flowing back as I am playing it on the same Gameboy Color I played on all those years ago! The game runs perfectly, no glitches so far. I am grateful sites/stores like these exist for those still into what is retro gaming in this day and age. Thank you Lukie Games for delivering me a childhood classic! The game rocks. Battery works and cartridge is in good condition. Bought this along with Pokemon yellow and was in great Condition as well as working just as it was meant to and I couldn't be happier with yet another great purchase at a great price. Lukiegames is definitely going to get more sales from me in the future. Previous shopper with Lukie Game and I was expecting a Pokémon Crystal game that was worn but functional. What I received was a cartridge with hardly any scratches, game sticker in tact and still pretty new. Everyone I showed thought it was a game I had since I was a kid. Highly recommend and hope my next purchase is just a great. Shipment time was great! Took a little time, but I got the item! I haven't got to play the game yet due to school etc. I did try it in the system to make sure it would turn on and the game would load up ok. But it did! it ran smoothly! 100% I am very great that my look search for this game was also a great price as well that not been overly charge for pricing, If your looking for a great deal this is the place and website! The game works great. Plays just like I remember it. I feel my retro to now gaming need are fully cared for and by Lukie Games. My mother in law made a poor purchase from another site. I recommend her to try here. Lukie Games test and replace parts. Game works great. Plays great as well. Little upset with the condition of the label though. I wouldn't mind so much had I payed less for the cartridge but that's a pretty steep price to pay for a cart with the amount of wear it had. Don't get me wrong though I wasn't expecting a perfect cart. Should of maybe been priced around the same as Red, Yellow, and Blue maybe. I will have to be more cautious next time with the amount that I'm spending if this will be the case. Other than that though I love the site and products and I will continue to shop with Lukie Games! First off thought the site was sketchy. 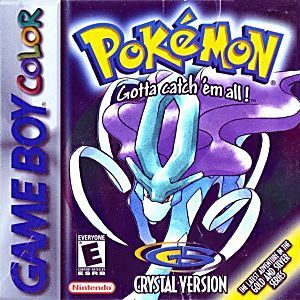 Did not trust it, but then I ended up buying crystal and red. Both were great condition physically. Both played great. I've also bought blue so far so good. If you think this is a fake site, it's not. Trust buying what says tested. The only problem I have is that I bought a linking cable and it didn't work. Got a replacement, still didn't work. Got a refund, which was returned quickly. Bought a different type of cable from Lukie games and it doesn't work. So now I'm waiting to return it. 5 stars on the games, 5 stars on the customer service, but 0 stars on those untested cables.